default specification and no soldermask or legend and one finish. 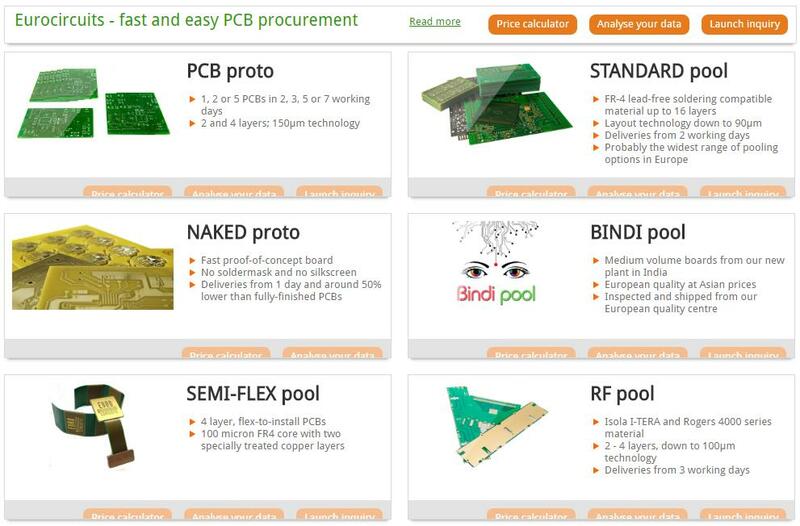 PCB technology reduced to its basics cuts costs and saves time. default specification and no complicating options. This makes ordering as easy as possible and keeps down production costs. Includes all Eurocircuits FR4 options in a single menu. 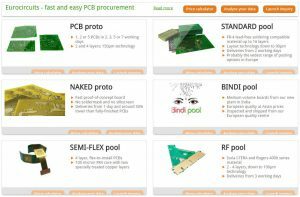 pooling means combining several different orders for boards with the same specification on a single production panel. Some options are not ordered often enough for us to be able to pool them. These “non-poolable” options are still included in the single menu. This gives you access to the whole range of FR4 technology in one place. You can then easily compare the prices of different technologies. The non-poolable options are priced as whole production panels, because this is how we have to make them. If you select a non-poolable option, you will be alerted by the coin icon. Single and double sided and 4-layer small and medium volume. Produced in Eurocircuits India Ltd, under supervision of the hungarian Eurocircuits production team. Includes poolable and non-poolable options in a single menu. pooling base material is Isola i-Tera offering good RF performance at lower cost. Flex-to-install FR-4 4-layer board built as a standard rigid flex but with an FR-4 semi-flex core cablable of only a limited amount of bendings. 100% pooling on Isola PR370HR high Tg material.